The Fordson F was the first tractor released by the company. It was produced from 1917 until 1927, and is often looked at as the most influential tractor of all time. Tractors of competitors were becoming very complex, and were fairly expensive. Fordson created the model F with the simple farmers in mind. They kept things very simple, and most importantly, inexpensive. This allowed small farmers who may have been a bit skeptical to buy a tractor for the first time. The majority of the Fordson Fs were manufactured in Dearborn, MI, but about 7,600 were manufactured at a factory in Cork, Ireland. For the first three years of production, the Model F had a Hercules engine. This engine had four cylinders, natural aspiration, and was run on distillate fuel. The engine was liquid cooled, and put out about 20horsepower. In 1920, Fordson changed the engines to a nearly identical Ford engine. As for the transmission, this two-wheel drive tractor has three forward gears and one reverse. The speeds range from 1.6mph in first gear to 7mph in third. In reverse, the Model F will go up to 2.1mph. In the Nebraska Tractor Test completed in 1920, the maximum belt power was 19.15hp. The maximum drawbar power was 9.34hp and the maximum drawbar pull was 2,187 pounds. When the test was completed again in 1926, the maximum belt power had gone up to 22.28hp, the maximum drawbar power was 12.325hp, and the maximum drawbar pull was 2,142 pounds. The Fordson F was a smaller tractor, weighing in at about 2,920 pounds. It had a wheelbase of 5.25 feet, was 4.58 feet tall, 5.25 feet wide, and 8.5 feet long. The Model F’s ground clearance was 11.6 inches. This lightweight tractor was cheaper to make thanks to its dimensions, and cheaper to ship because it was small enough to park sideways on railcars. Like your Fordson, I have one and need some parts to get it running. Do you have any parts or leads as to where I can get, intake/exhaaust manifold, carb. air-water wash. this could get me started, I think. I have a 59 Fordson Major that we are thinking about selling. How do I know what a fair price is? Serial #653431. Have a Kingston Regenerator carb. Does anyone have information on how to adjust it? What is the correct plug to use? Thanks for any information. 1928 Fordson Model F for sale – radiator cap,wood steering wheel in good condition, tool box, steel seat, coil box, pulley attachment, steel wheels, worm gear and wrench, new flat belt , spark plugs , air water wash & orchard fenders all in original condition . Engine turns over and has compression . Needs ignition vaporizer and radiator restoration for running condition. I’ll throw in a steel wheel farm wagon to boot. 1st $5,000 takes or BO. As is makes a nice yard ornament, will miss seeing it out there. a one row corn picker was once mounted on this tractor but was sold for scrap iron during estate auction. I have a complete Fordson F Model (not sure of the year… numbers are worn off… I believe it to be about a 1924 or 1925 year) on steel. It comes complete with 2 good fenders and 4 extra rear wheels…2 wheels are on rubber. There is also a nearly complete front axle. Plus numerous other parts including 2 extra near perfect rear fenders This tractor is ready for restoration… But the motor is locked up. Make a fair offer and you may take it with you. Email here. I need to know if I can find a complete engine overhaul kit. I’m a french new owner of a Fordson model F and i’m looking for repair parts like carburator or other fuel system ancilleries. Where i can found technical drawings or manual ? I have a Fordson F 1927, but a rare exemplar… Now I restore the engine… Where can I find an overhaul kit? Hola, me gustaria saber el significado del numero que hay encima de las fechas de las patentes; ya que poseo un tractor Fordson f cuyo numero hay situado es el 1.
i have a 1920s Fordson and she runs amazing. I recently purchased a f model fordson with the track kit . Having trouble finding serial # below head . Any one have a suggestion? 2184310709 text or call thanks . I have an Irish built Fordson F (I think) 1922/23 . I normally restore cars but have been asked to tackle this. Can anyone spare the time to contact me and explain the basic operation of this engine and maybe some pictures so that I can identify what is missing. Thanks. “Tractor Unit” Coils. “When replacing coil units on the Fordson, always be sure to regular tractor units, which on the front of the unit as follows; “TRACTOR UNIT”. DO NOT USE MODEL “T” UNITS IN THE TACTOR. 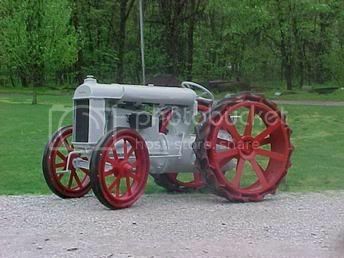 I want to know the value $ for a tractor fordson 1923 original good running condition and very clean ,inside all his life ,thanks . I’m looking to buy or rent a Fordson F, preferably 1917-1925. It would be on display at Henry and Clara Ford’s estate Fair Lane in Dearborn, Michigan for the 100th anniversary of the Fordson. Please let me know if you would like to contribute a tractor and/or attachments to this cause or if you have a tractor for sale! My son David has a Fordson F for sale in Sudbury, MA 01776. I understand that the tractor is a 1923. It was last run at my home about 1968 until the neighbors complained of the noise! the engine can be cranked and probably started.